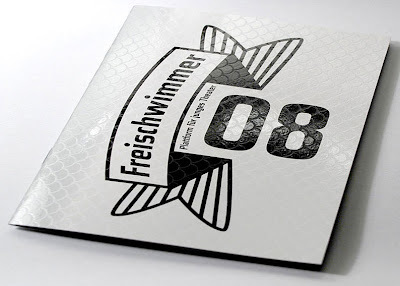 Das Freischwimmer Festival ist ein von den Sophiensaelen, brut, FFT Kammerspiele, Theaterhaus Gessnerallee und Kampnagel gemeinsam organisiertes Festival für junge Theatermacher. Termine: Berlin: 6. bis 11. März, Zürich: 27. März bis 5. April, Wien: 11. bis 19. April, Düsseldorf: 6. bis 11. Mai, Hamburg: 17. bis 24. Mai. Check out the new collection from JULIAANDBEN. The collection is shown at RENDEZ-VOUS HOMME in Paris (18th until 21st january 2008) and at +46 fashion show in Stockholm (30th - 31th january 2008). Update: It's also shown at FASHIONWEEK Berlin (2nd-3rd february 2008) and RENDEZ-VOUS FEMME Paris (28th february - 2nd march).